Originally published on Forbes via the Forbes Communications Council. Marketing has never been more complex. Staying ahead of the latest trends and technology is a full-time commitment. The next challenge to arise is how you balance two competing trends. Authenticity and automation, according to their definitions, do not mix. In fact, they are opposing ideas. However, both hold equal importance in today’s marketing landscape. Automation in its very nature is inauthentic. Automation technology has allowed smart marketers to manage their communications and send out targeted, personalized communications en masse. What’s more, this technology is enabling faster decision making by recognizing patterns in data that could be missed by the human eye. Take artificial intelligence, for example, a technology that more than half of marketers plan on adopting within the next two years. The potential applications of this technology are endless. From AI-generated content to voice recognition, from programmatic media buying to chatbots, chances are by the end of 2017, your business will be leveraging this technology in some way. While examining the marketing tactics we use, I looked closely at chatbots. 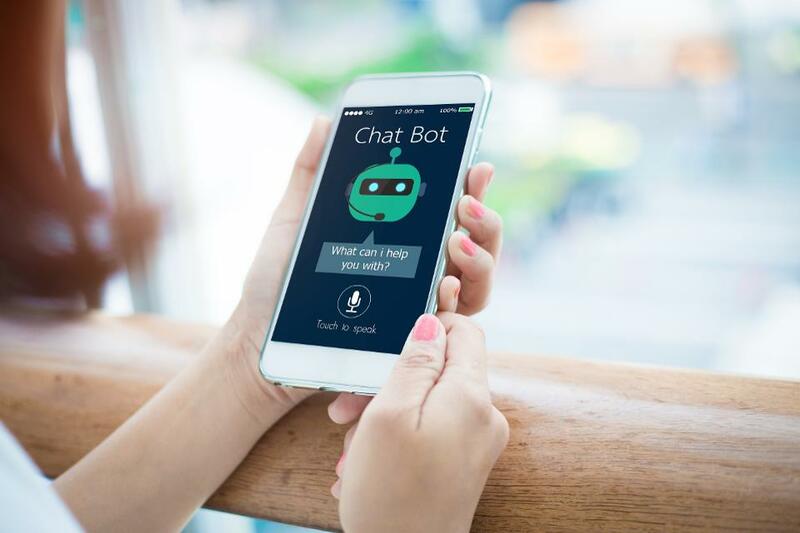 The usage of messaging apps and chatbots is outpacing that of social media networks. The number of messaging app users is predicted to be around 2.1 billion by year’s end, making it a very attractive marketing platform. Chatbots are the 24/7 answer to the consumer need for on demand services. As a marketer, you can leverage this all-inclusive one-on-one ecosystem by gathering data based on the questions asked. From there, send automated push messages offering recommendations to users to purchase additional products or services from you. Consumers demand authentic experiences with brands. Chatbots, in some respects, enable a level of authenticity — or inauthentic-authenticity, if you like. By leveraging the one-on-one private ecosystem, communications experts can better target and personalize messages. By thinking smartly about the questions, responses can be automated, offering the consumer the immediate resolution they demand. Looking past this example, there are numerous instances where the trends of automation and authenticity overlap. It’s up to us to balance the need for both and deliver the experience our customer craves. Define your brand personality: As with any new initiative, it starts with planning. In the case of automating authenticity, it starts with a clear definition of who you are as a company. Defining the human characteristics of your brand helps you to frame your messaging and build an identity in your consumer’s mind. Smart targeting: Next step is to consider your target consumer. An authentic engagement is a two-way street. You need to choose the automation that best leverages the channels your consumer uses. Not everyone (yet) uses messaging apps. If your consumer does not favor this channel, you can’t target them using it. Targeting is also an ongoing task. Simply choosing the channel is not enough; you need to continually adapt communications based on demographics, psychographics and behavior. Personalization: Authenticity requires a level of personalization. Again, this comes from adapting your communication to the consumer. The digital transformation of business is enabling agile decision making. The ability to personalize based on changing behavior will increase engagement. Consumers will be able to engage in real-time increasing authenticity. Admit automation: Don’t be afraid to admit where you are implementing automation. It’s authentic and honest. The human touch: Technology is great until it doesn’t work, or it doesn’t meet your need. Offer the human touch with an automaton. With chatbots, know when to offer the option to talk to a real customer service rep and send communications from a real person. Consumers love the chance to bypass queues or get answers quickly. But, at some point, they will want to talk to you. So, make it an easy option. How many times have you been on the phone with a robot and asked 10 times for “Operator please”? Enough said. I’m pleased with the way you introduced the topic as well as the details. Honestly, tasks #automation is what differentiates a businessman in 1900 from the ones in 21st century. Integrating great techs to handle automation is necessary for every online business of today. I always advice folks around here to embrace “business on #autopilot” as the way forward for modern businesses. Thanks and do have a super-productive week ahead.